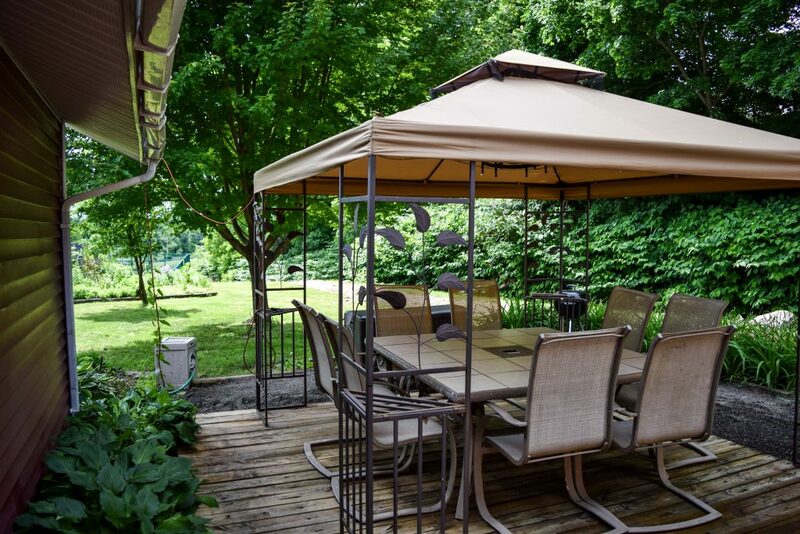 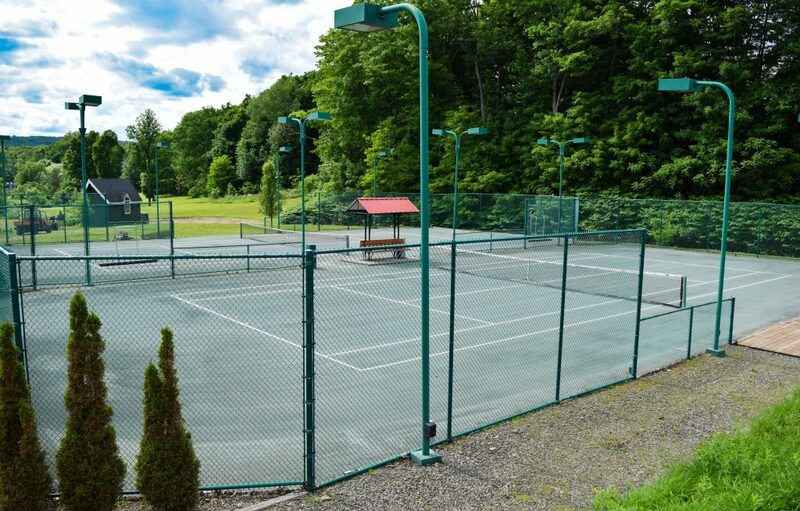 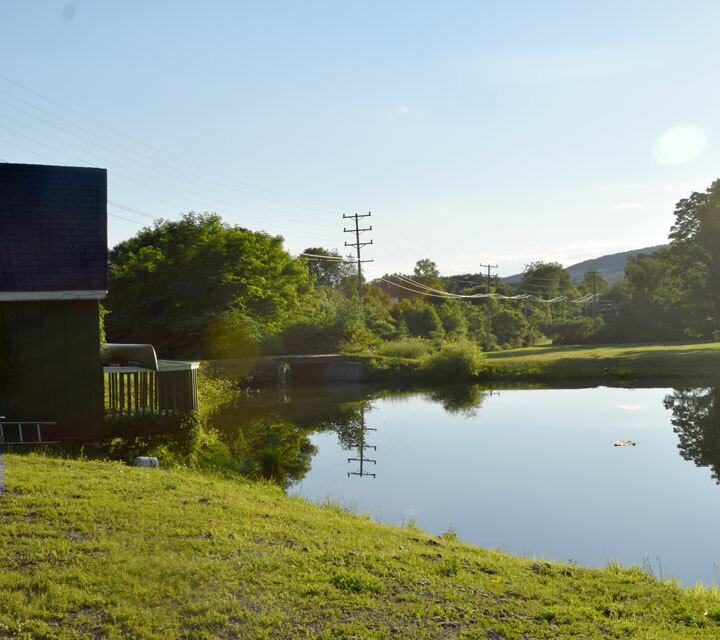 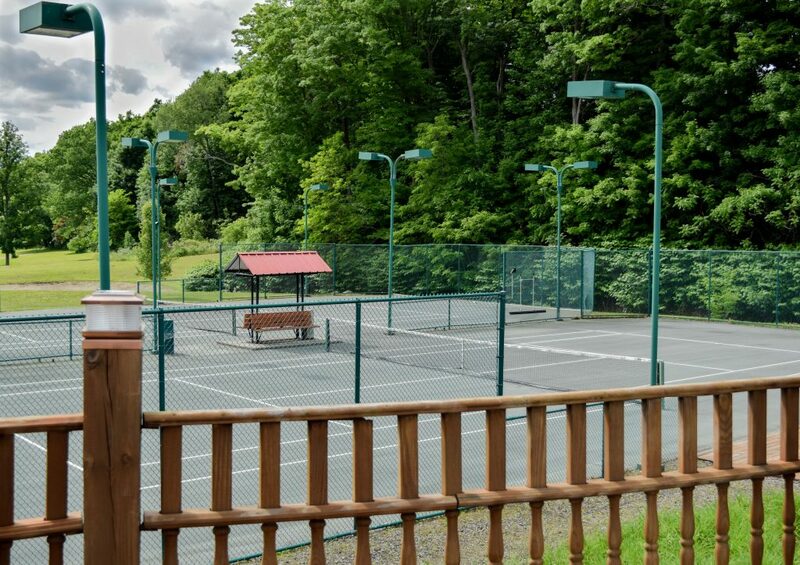 A tennis player dream, this unique property boasts 3.25 acres of pristine beauty and privacy in the heart of the city of Oneonta, tucked away the foothills of the Catskill Mountain range. 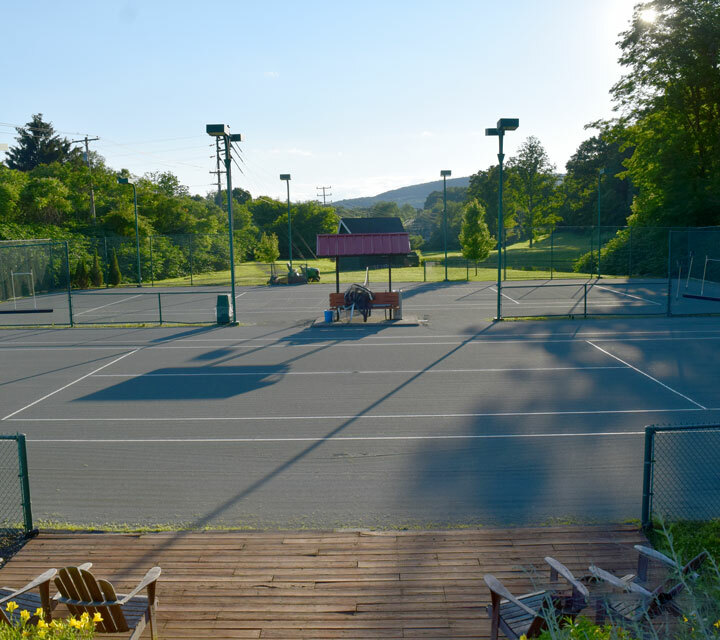 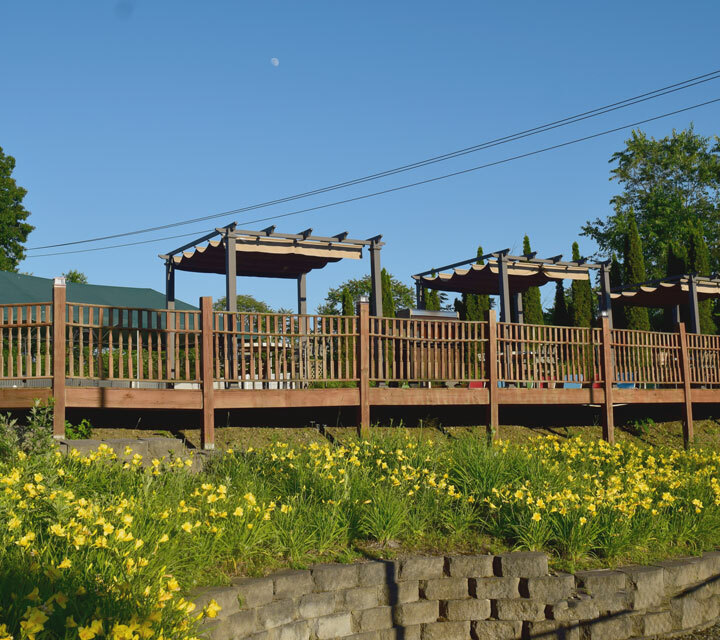 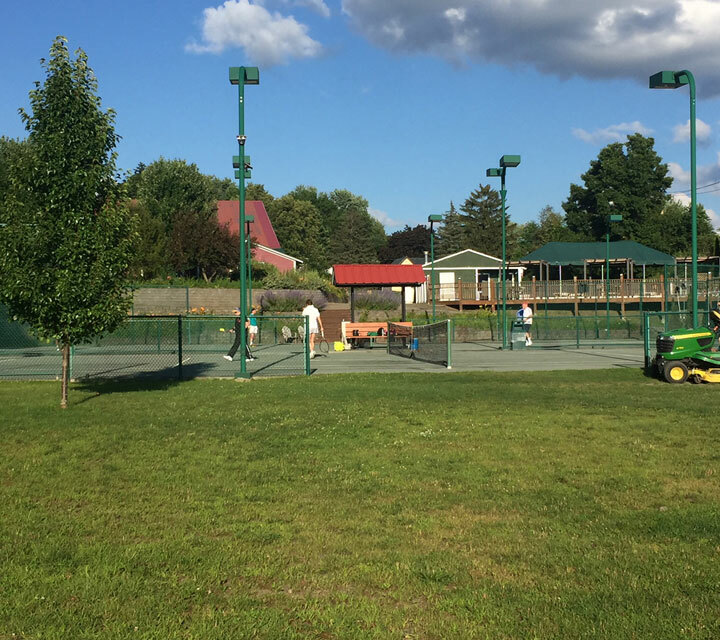 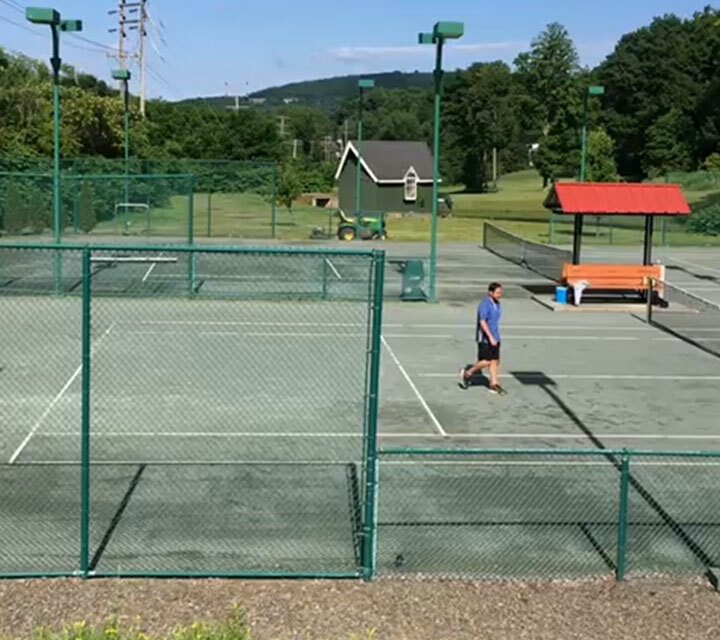 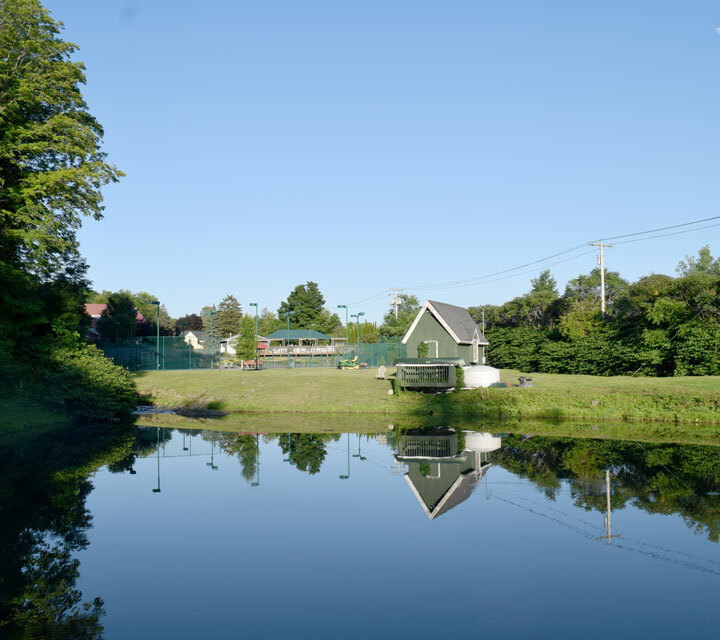 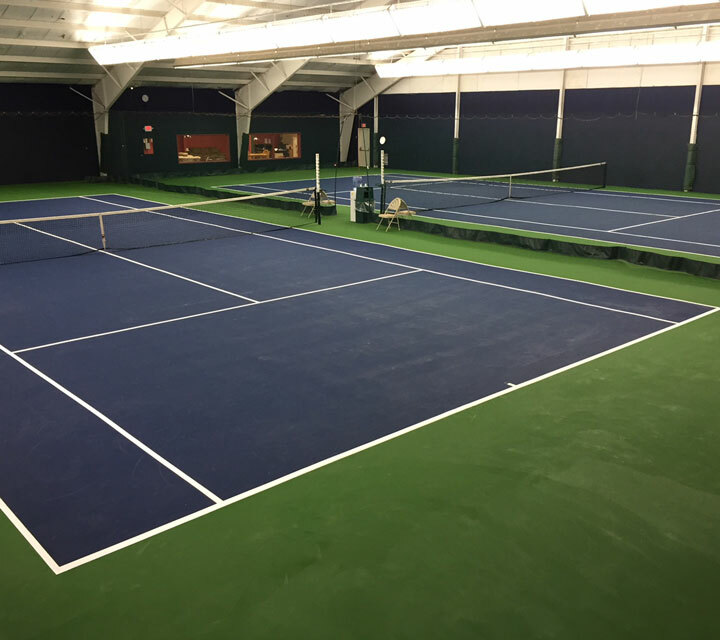 Two spectacularly maintained Har-Tru tennis courts are located by a pond that provides an environmentally friendly watering system as well as a sanctuary for wildlife. 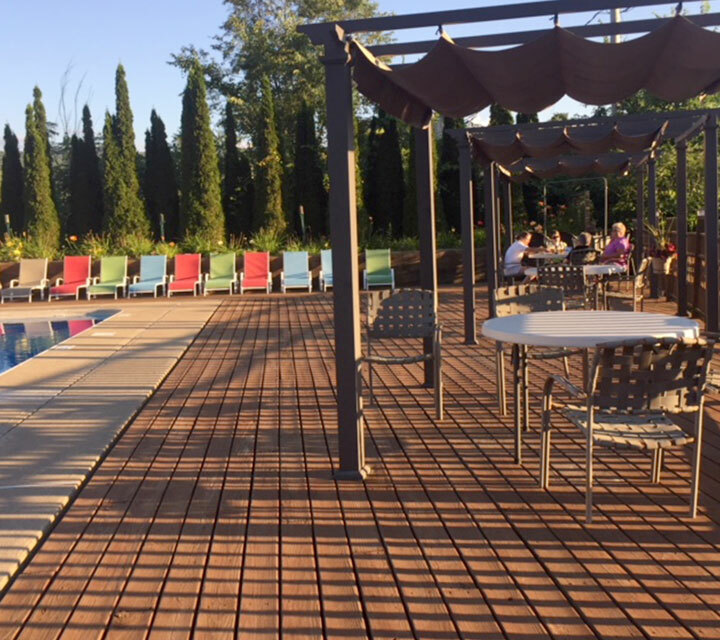 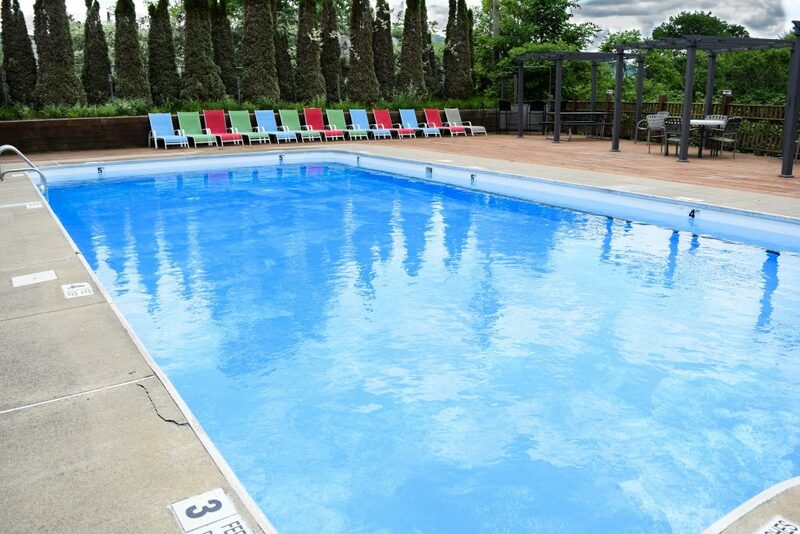 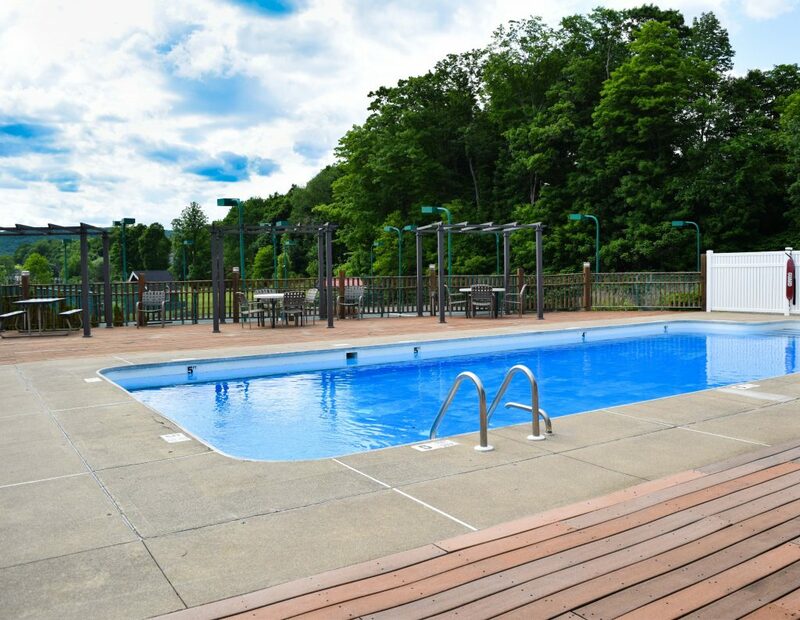 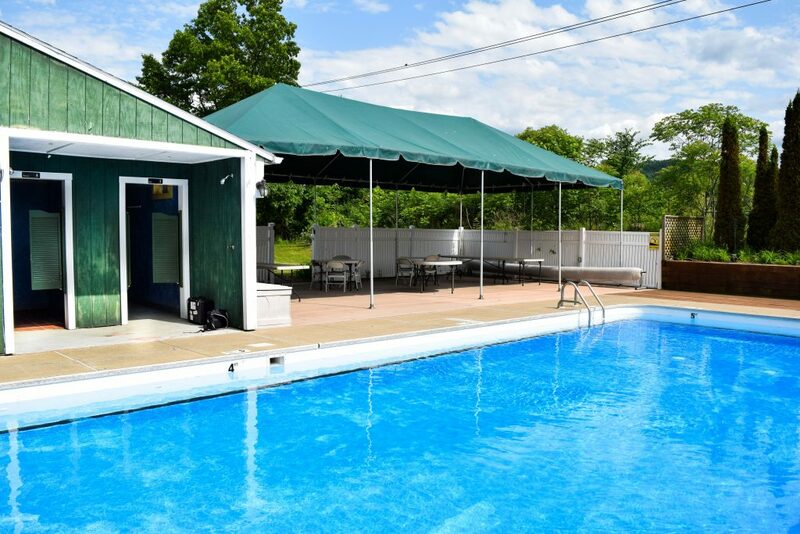 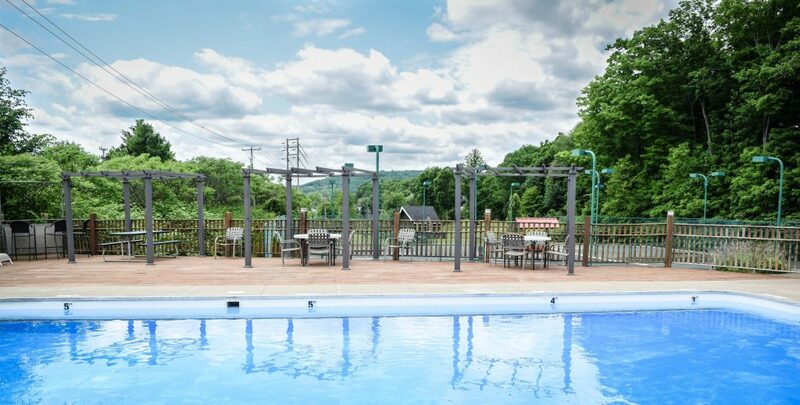 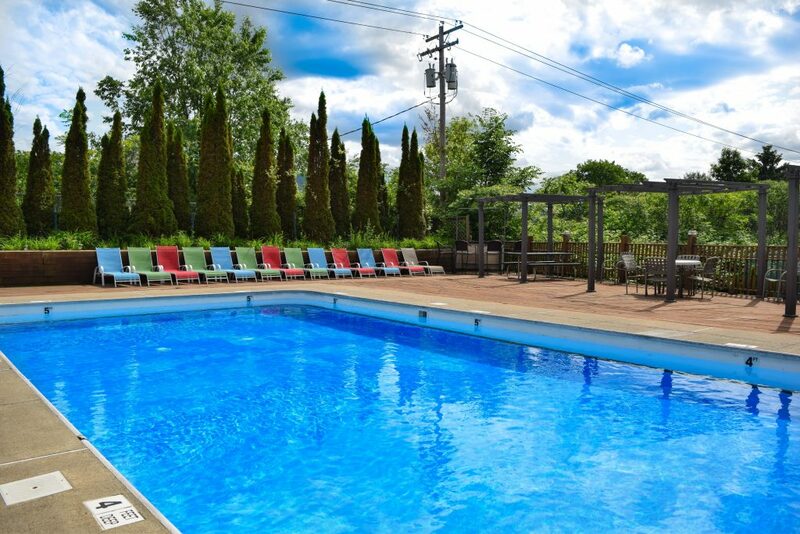 The 800 square-foot pool features an ideal setting for hosting events under a tented deck, complete with an entertainment center, and a poolside view of the outdoor courts. 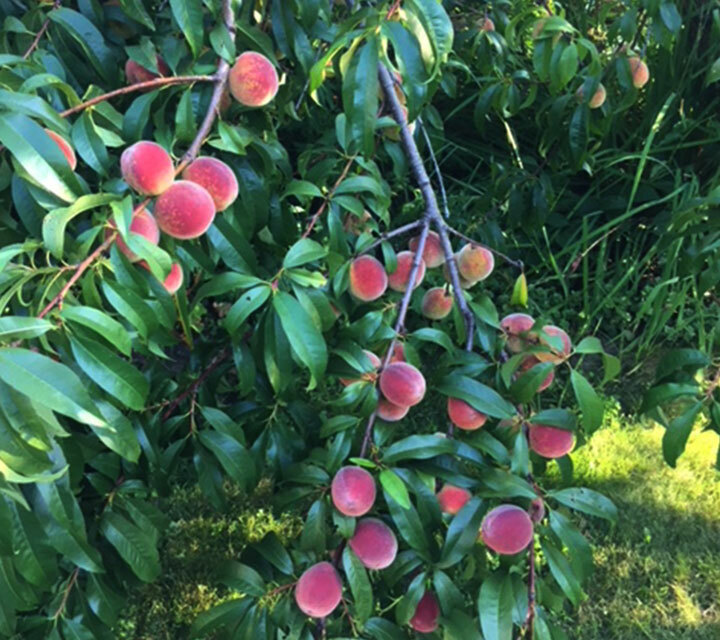 Throughout the property, you’ll find easy-care lily and perennial gardens, abundant trees bearing edible fruit including apples, peaches and cherries. 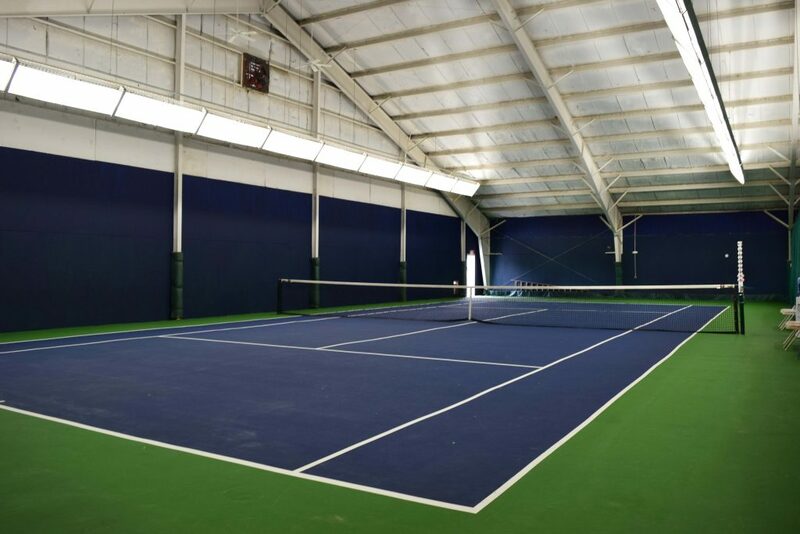 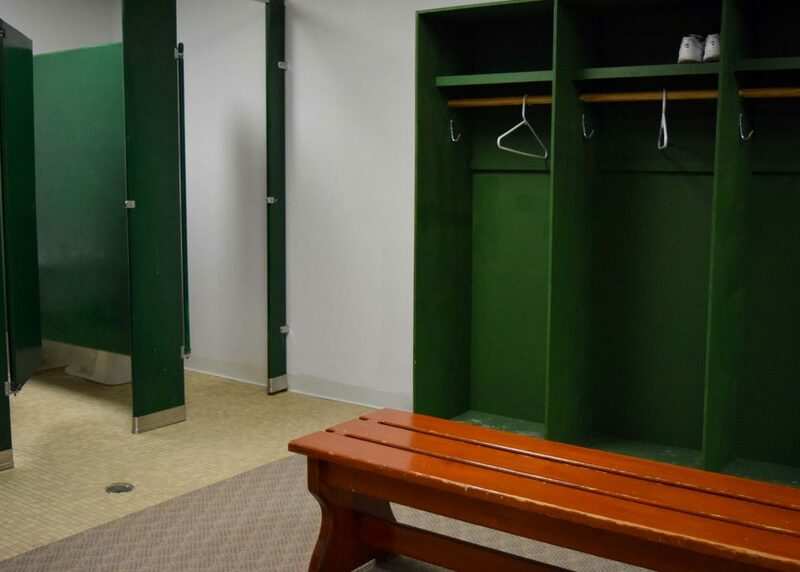 The indoor facility is comprised of two tennis courts, a lounge and separate men and women’s locker rooms/bathrooms. 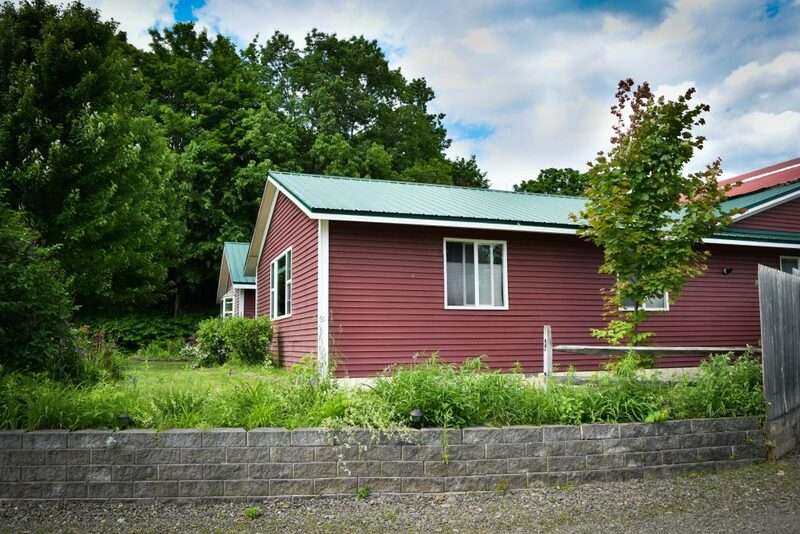 A four bedroom, two and three quarter bath home boasts a newly designed kitchen with granite counter tops and an open floor plan. 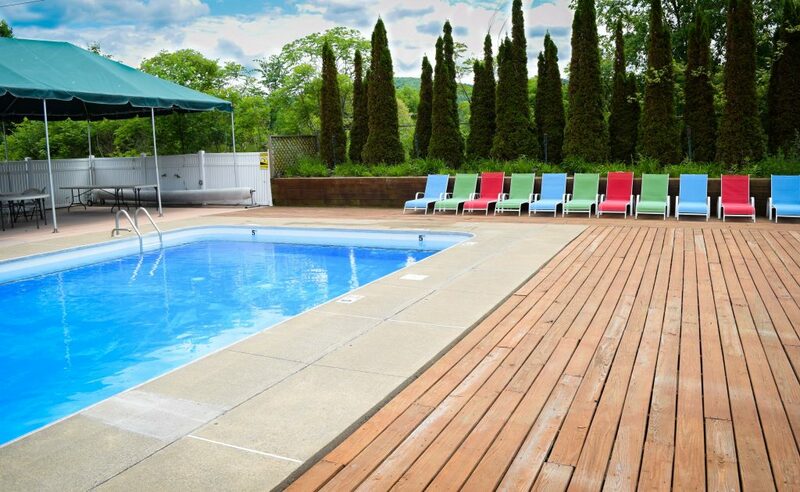 The private master bedroom and marble master bath overlook the gardens. 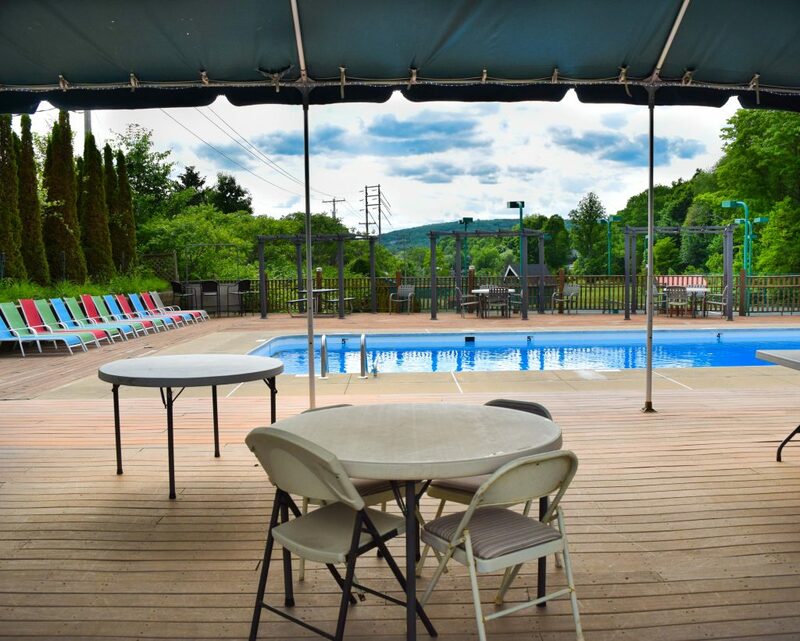 A three and half hour drive from New York City, the property is easily accessible from the Albany or Binghamton airports. 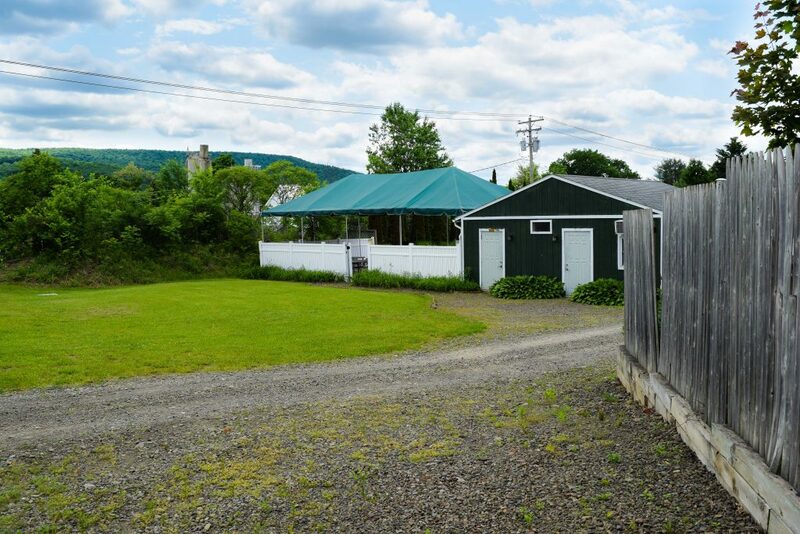 Oneonta also features a small municipal airport accessible to private planes. 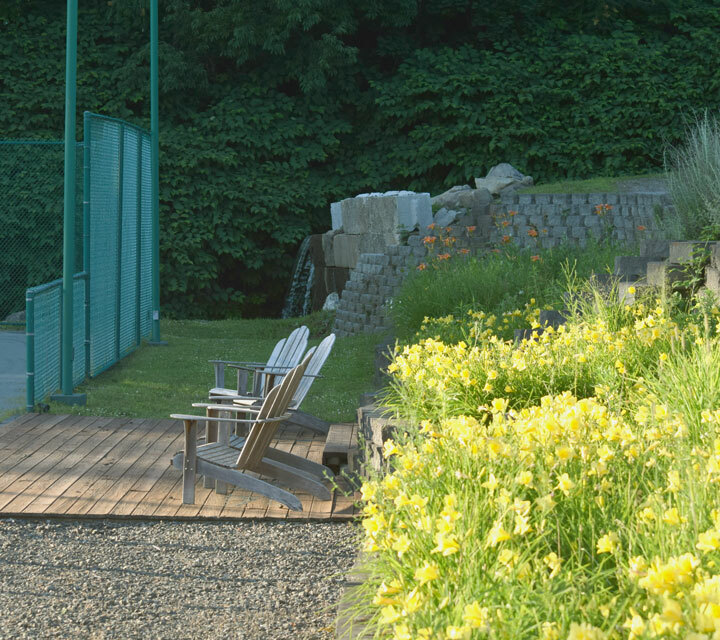 This home is a tennis player’s heaven. 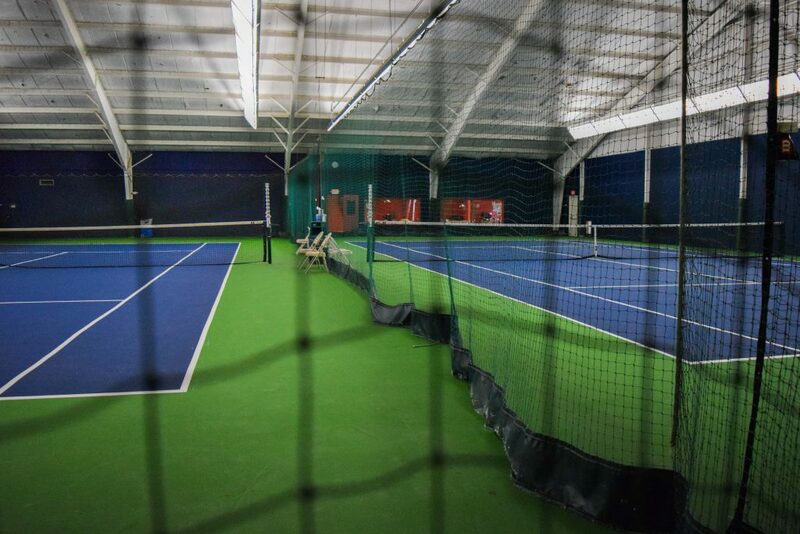 The weather will not stop you from playing. 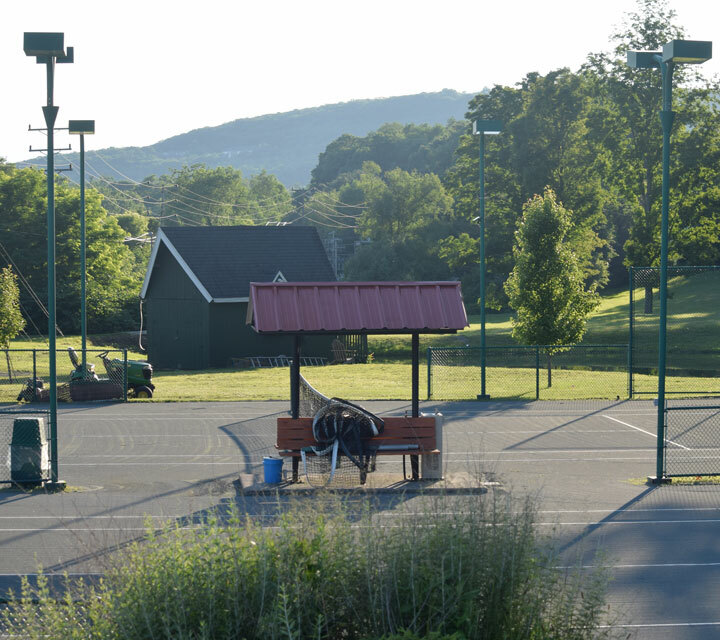 Additional buildings are allowed to be built on the property. 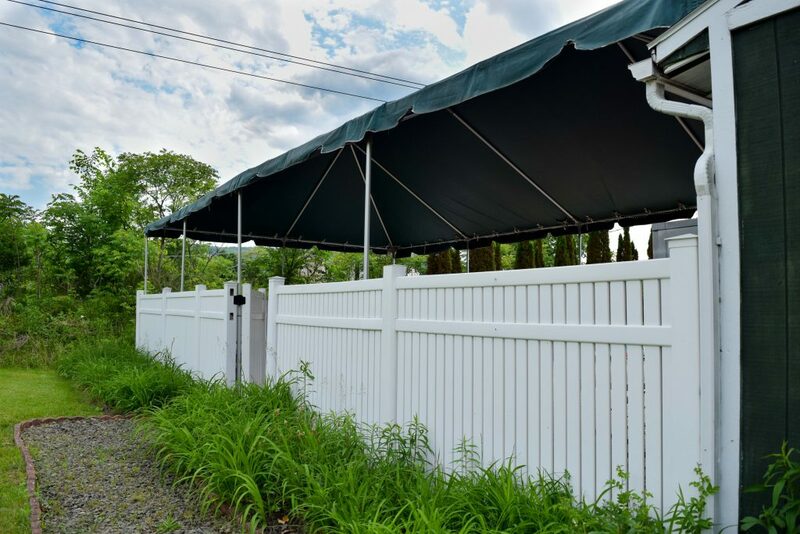 No variances are required.